1. Safety, no surgery. Does not affect the normal work and life. 3. The entire process is completed without surgery or anesthesia. 5. Discomfort during operation was minimal and adverse effects were limited to mild and temporary erythema. Strong sound wave of 40000HZ may be emitted to vibrate fat cells at top speed and produce numerous vacuum air pockets inside and outside the fat cells. 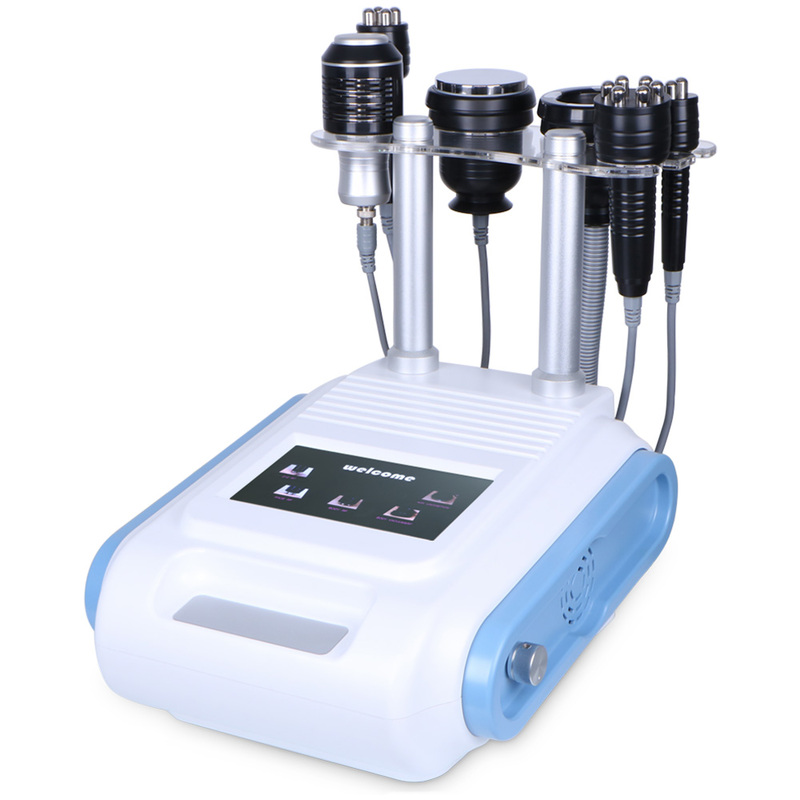 The 40k cavitation vibrate fat cells,then the fat cells broken. Use in belly, thigh, arm, legs. After treatment with cavitation probes, vacuum probes and RF probes, the temperature of the skin will be somewhat high. Then use a cold probe that helps calm the skin and shrink the pores. Cold hammer can reach to 5-10°C to quickly shrink pores, allowing skin to quickly lock in moisture and further maintain and repair skin. It can use on face and body.